There wasn’t a huge response to the giveaway, which I suppose isn’t a huge surprise—as I type, even at 6:30am, the birds are singing. They’re so ready for spring. Ready for sunshine and warm breezes, for the smell of cut grass and, of course, allergies. And aren’t we all?! I am; even for the allergies, which are already starting to weasel their stinging way into my sinuses. 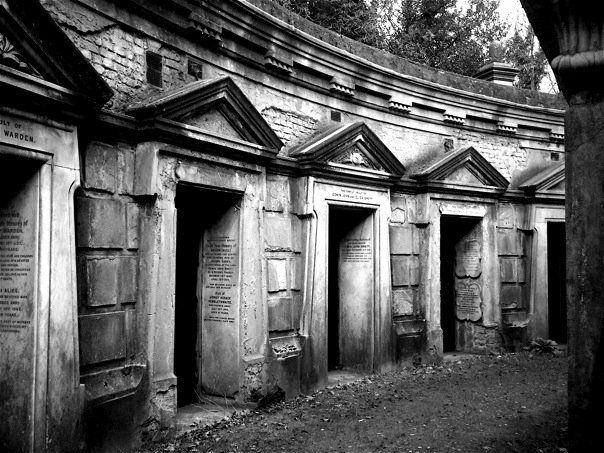 That said, perhaps everyone was too distracted by the upcoming season of rebirth to think too, too deeply on graveyard poetry. That’s okay. Those who did—all of those who did—get a free spooky chapbook. That’s right, everyone who entered gets one. And why not? Spring is almost upon us and that makes me feel very happy and giving. So! James, Crow, Marla, Matt, Tiffany, and yes, even you, Mr. Gabriel Late—send your mailing addresses over the weekend to KLEveritt@hotmail.com with CHAPBOOK in the subject line, and I’ll do my best to have them in the post by Monday! Thanks for playing, and I do hope you enjoy them. The words within…top notch stuff. Pictures are too shabby either, if I do say so myself. Happy Friday; Happy First of March. We’re almost out of this long winter, so I’m feeling optimistic. Let’s do a give-away! 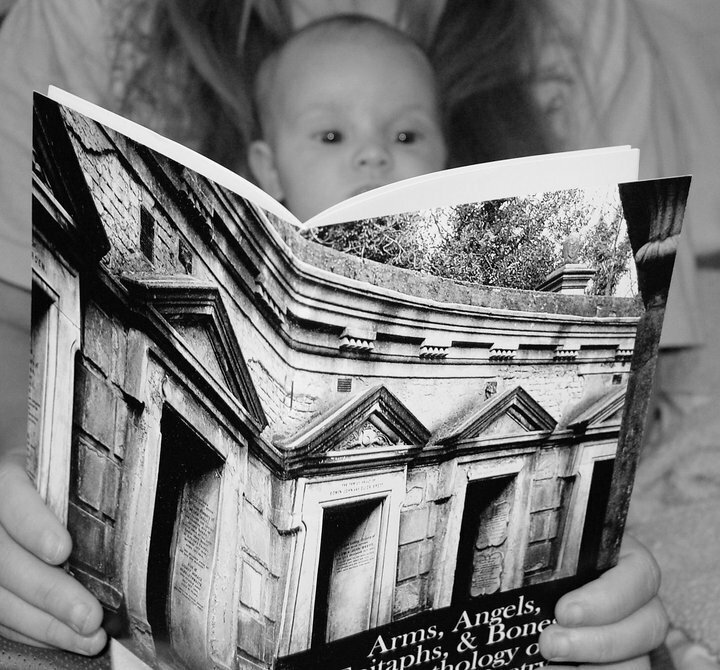 Three people that respond here at this blog, on this blog post, to the following question, will receive a copy of my chapbook, Arms, Angels, Epitaphs, and Bones: An Anthology of Graveyard Poetry. Don’t be fooled; it was published under my maiden name, Meadows. It is me. 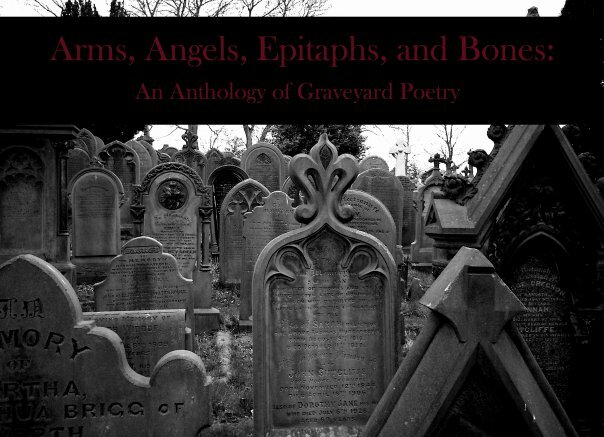 Arms, Angels, Epitaphs, & Bones is an anthology of primarily 18th century graveyard poetry by Thomas Parnell, Robert Blair, Thomas Gray, James MacPherson, David MacBeth Moir, and Henry Kirke White, with an introduction by Kriscinda Meadows (Everitt). As a reader of the spooky, how do you get into the spooky mood to read when all around you is brimming with spring? We’re not quite there yet, but soon. Thought I’d get you thinking about it and preparing. Best answers get put into a hat and chosen blindly by my cat, Moggy. Dead line is March 7, next Thursday, at midnight. Don’t forget to leave a way for me to contact you, should you win. Babies with big hands love A,A,E,&B. You wouldn’t think, right?